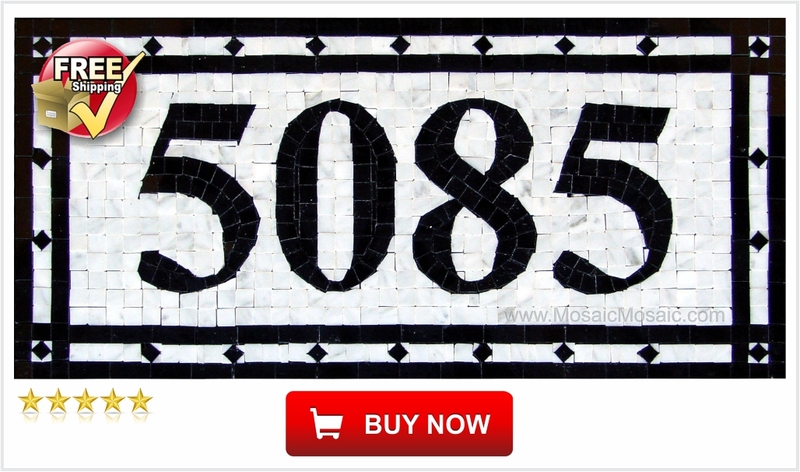 Beautiful Handcrafted Italian-styled Marble Mosaic house numbers. 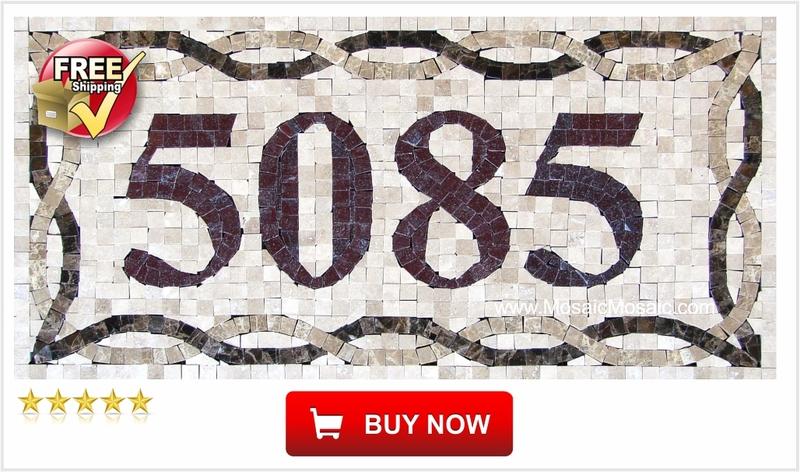 by a company that has been in the mosaic business for 21 years. 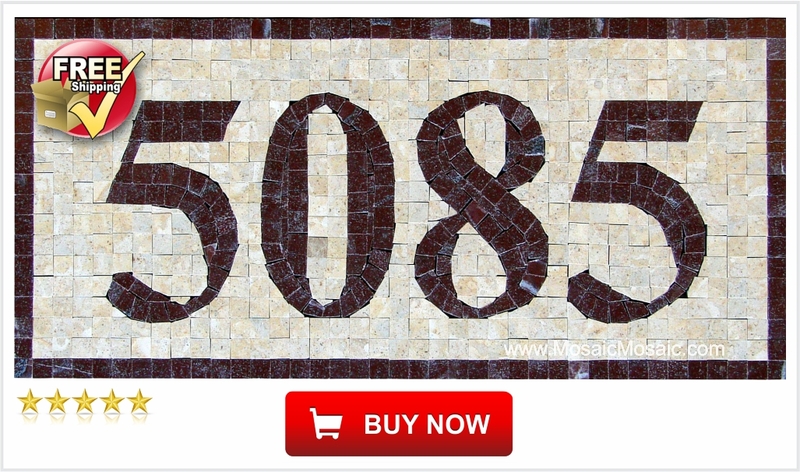 The amazing staff over at Caesarea Design, Inc. can adjust the house numbers to suit your needs. 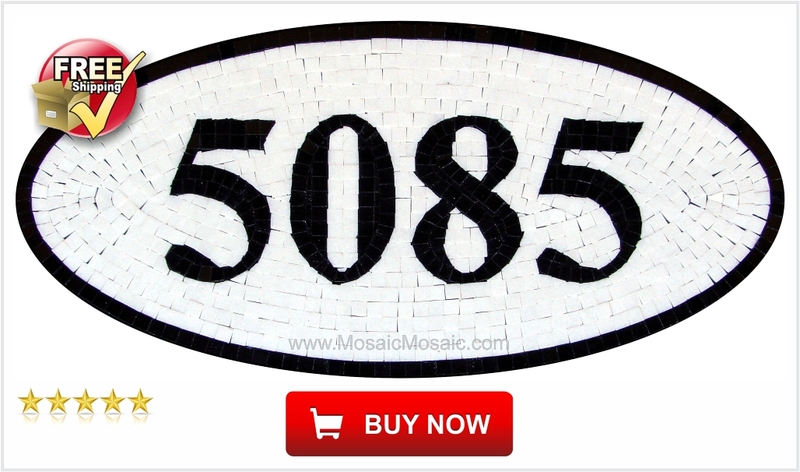 Customers are able to get the mosaic address number plates in a variety of color combinations, sizes and designs. 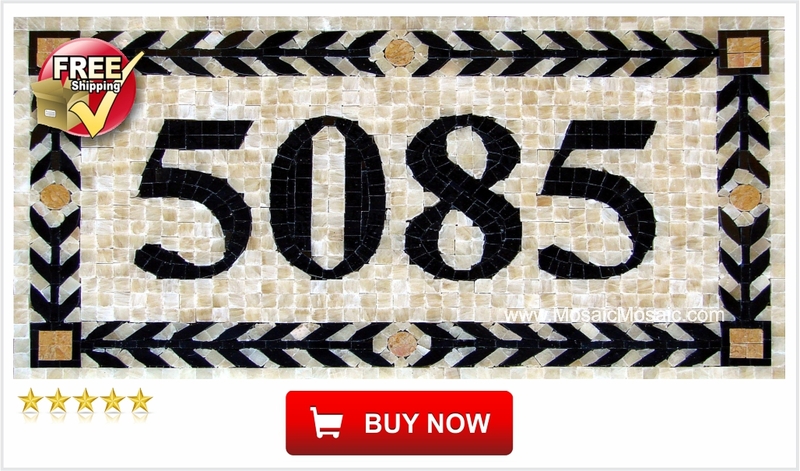 courteous staff would be more than happy to assist you in creating the mosaic address number plate that you desire.